Delmarva filed a motion arguing that Cumberland destroyed the property and irreversibly crippled Delmarva’s ability to mount a meaningful defense. The Circuit Court granted the motion for summary judgment and Cumberland appealed. The Court of Special Appeals found that this was a case involving spoliation of evidence. Spoliation of evidence is a discovery violation, establishing that a party should not be allowed to support its claims or defenses with physical evidence that it has destroyed to the detriment of its opponent. Factors to determine whether spoliation of evidence occurs include: (1) An act of destruction; (2) Discoverability of the evidence; (3) An intent to destroy the evidence; and (4) Occurrence of the act at a time after suit has been filed, or, if before, at a time when the filing is fairly perceived as imminent. The Court found all four factors to be satisfied. The house was the heart of the matter in this case and it was destroyed intentionally at a time when Cumberland knew it would file a subrogation claim against Delmarva. 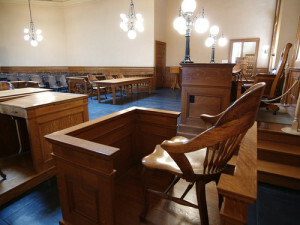 If spoliation of evidence has occurred, dismissal of the claim is warranted if (1) the spoliator’s conduct was so egregious as to make forfeiture of its claim an apt remedy; or (2) if the loss of evidence is so prejudicial that it substantially denies the defendant the ability to defend the claim. The Court held that even a lack of intent can be trumped by a high degree of prejudice and still support dismissal. Here, Cumberland controlled the fire scene and only preserved the evidence relevant to its case, depriving Delmarva of the opportunity to look to other possible causes of the fire. Cumberland’s failure to inform Delmarva the property would be demolished prevented Delmarva and its experts from assessing the causes of the fire independently, leaving Delmarva with no evidence to defend against Cumberland’s assertions. The Court held that dismissal was an appropriate sanction and affirmed the Circuit Court’s ruling. This affirms that within the jurisdiction of Maryland, tort claims may be dismissed for spoliation of evidence without demonstrable bad faith on the part of the spoliator. The Court found Cumberland to be negligent in failing to notify Delmarva regarding the demolition which unfairly prejudiced Delmarva in its defense. The Court did not assert that Cumberland’s behavior was so egregious; that it intentionally demolished the property to deny Delmarva of the opportunity to defend itself. The case underscores that Maryland courts will hold parties feet to the fire when it comes to being diligent about preserving evidence that may be relevant to a claim until notification is sent to an opponent, or even a potential opponent, informing them the evidence may be destroyed. This is important because, in our world, the line between negligent and intentional destruction is pretty hazy. It is hard to prove intentional destruction unless the defendant is really stupid about how they approach the destruction. More commonly, the spoliation is more of a “I know you did it but I can’t prove it” variety. This case is another weapon in getting powerful relief in these kinds of cases. You can find the court’s opinion in Cumberland Insurance Group v. Delmarva Power here.